For all the time and effort we humans put into building our cities, we often jump at the chance to “escape” to nature. We find beaches, oceans, rivers, lakes, forests, and mountains to be calming, peaceful, and grounding. Part of that attraction has to do with the organic shapes – especially curves – that we find in nature. Scientific research backs this up, with brain scans showing increased activity when people view curves in nature or architecture. Humans prefer curved forms, like leaves, petals, shells, smooth stones, and waves. Gardens are our backyard escape. What better way to magnify the effect than by including organic forms in the garden? Whether choosing planters or sculptures (or both), organic shapes blend in seamlessly and easily add comforting charm to an outdoor space. The Inner Gardens catalog includes a number of organic forms to compliment a variety of garden styles. We’ve selected a few of them to highlight below. 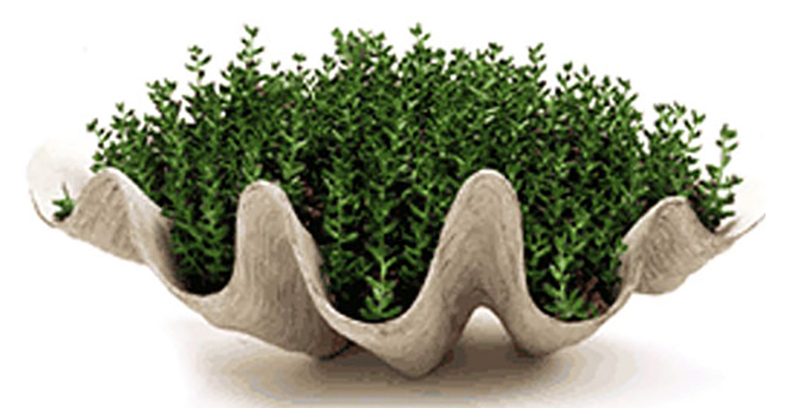 This planter not only mimics a form found in nature (yes, there are real clam shells this large), it also makes a gorgeous outdoor planter. This vessel is organic in both form and material. Crafted from teak wood, it is perfect for leafy bushes and medium-sized botanicals. Organic forms in the garden can also come from the animal world. 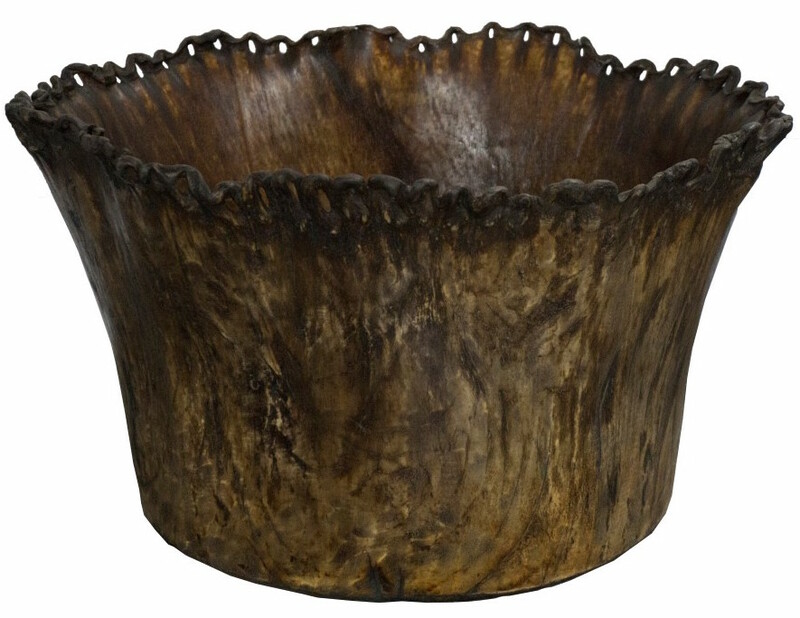 This vessel is made from tanned hide and was originally used to store grains. Repurposed as a planter, it is best to keep it protected from harsh outdoor elements. 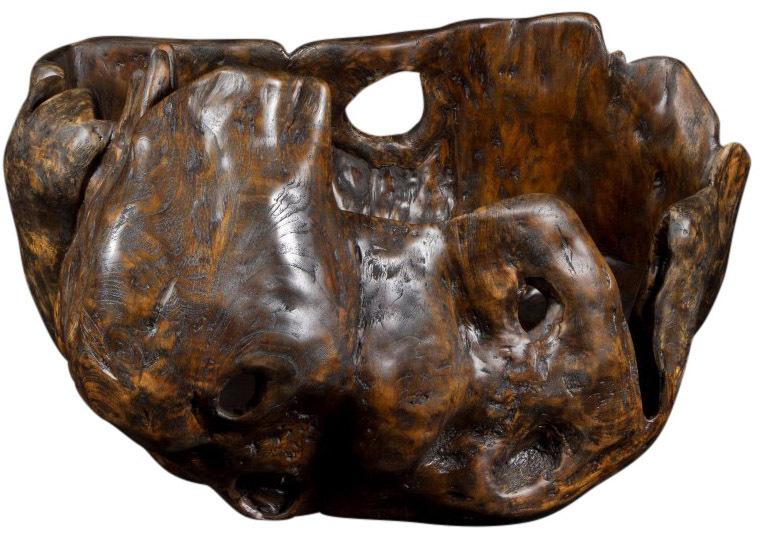 Howard Whalen was a mid-century artist from California who hand made his unique sculptures from clay, several of which can be found in the Inner Gardens catalog. 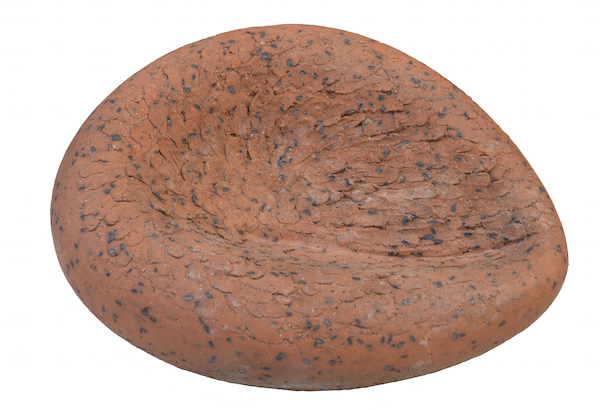 This one was crafted from terracotta and – to my eye – resembles a red blood cell. 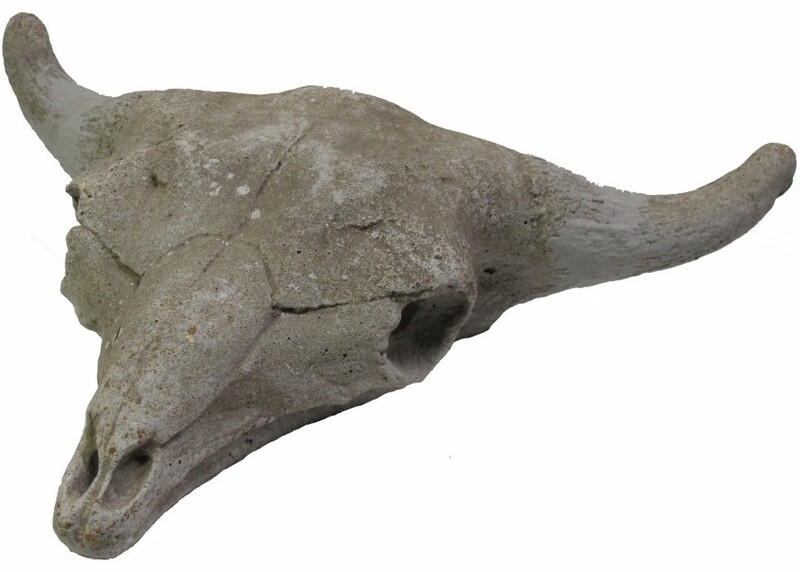 Another example from the animal world, this steer head was cast from a real skull found in a private home in Connecticut in the 1960s. It is made from stone so it can withstand any weather. Tap into the primal beauty of nature and stimulate your brain by adding organic forms in the garden. It will create an unmatched feeling of continuity, fluidity, and holistic coherence. Contact Inner Gardens and our team of experts will help you select and incorporate pieces that are meaningful to you and transform your experience of the garden.